Ever wonder why liberal Democrat members of Congress schlep around DC by chauffeur-driven limo? Because they are too stupid to drive themselves! I reckon times are getting tough in the capital. How far can a member of Congress be expected to stretch $200,000 a year. 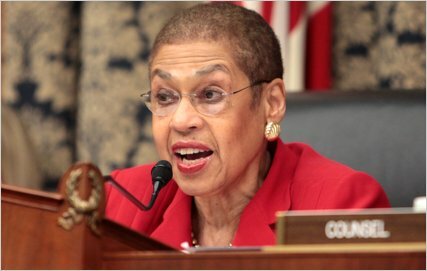 Poor Eleanor Holmes Norton has been forced to drive herself around. The shame! Watch as Norton attempts to park what appears to be a very easy-to-park automobile. After trying for a reported half an hour and hitting one car beside her multiple times she gives up and just walks away.